I celebrate Earth Day every day through small acts. The little things that I do at home are carpooling, turning off the lights when not in use and separating my trash. I water my plants with rainwater when possible. This means that when it rains I put out containers to capture it. I think about Mother Earth every day and I make small changes to help protect her. My purpose is to make this place better for my children and their children. I am not perfect, so sometimes I do use plastic and Styrofoam. When this happens I make sure that these items go directly into a trash to avoid them from ending up in the ocean. Not littering is one of the most important things you can do to help the Earth. Please do not litter because your trash may end up in our Ocean with our animals. Turning off the lights, separating your trash and shorter showers are super important to being kind to our Earth, however not littering is one I highly recommend as part of your daily routine. 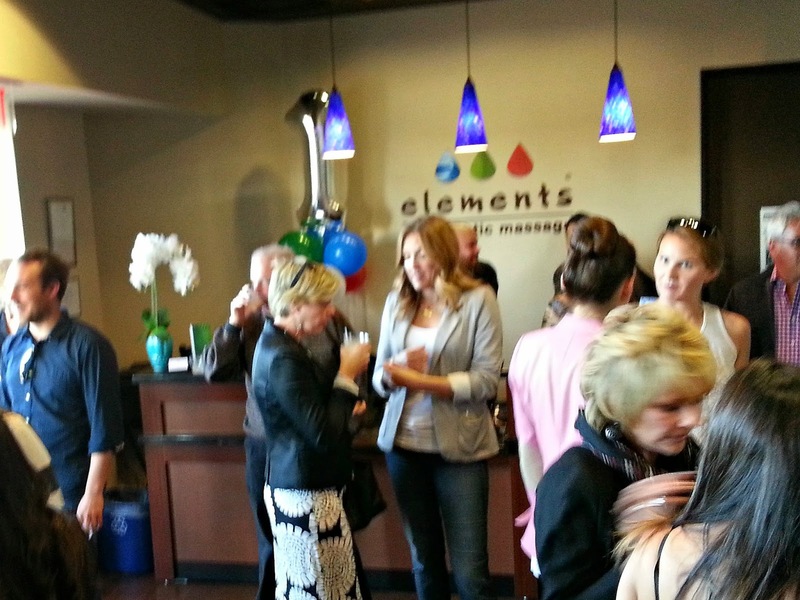 Elements Massage Costa Mesa turns One! The other day my friends over at LatinaGeeks invited me to attend a birthday celebration. 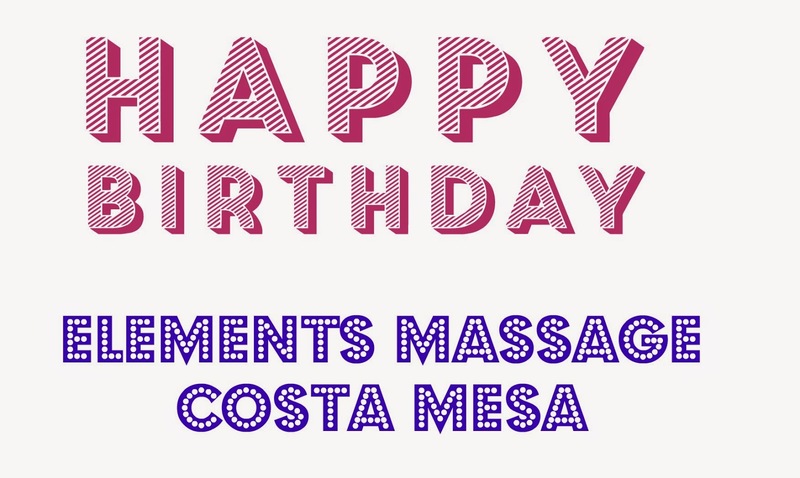 Elements Massage in Costa Mesa was turning one and they were celebrating. I was excited to finally get a chance to learn first hand about their services. Several of my friends had already recommended their services to me. I was now going to find out first hand how wonderful their services are for relieving stress. My car-pooler for the evening was fellow blogger Wendy from Over the Top Mommy. We both were super excited to have an evening of friendly conversation and a massage. When we arrived we were greeted with friendly faces and a gift bag. The bag was from My Fit Foods and is made to store both hot or cold foods. Inside were several goodies from AlernaVites, Lebrisa Designs and SkinAgain. The staff handed us a ticket for a raffle along with a time for a mini massage! The best part, the local community was also invited to attend this birthday celebration, which made for a fun evening of meeting new people. Walking into their space, we found yummy food from My Fit Foods and drinks from Clean Cocktails as well as fun jewelry by Lebrisa Designs. The place was full of energy with happy people. People would go in carrying stress to meet their masseuse and come out standing taller and much happier. It was very apparent that a good massage will change a person. You could see stress just melt away after their mini massages. I could see it in their appearance and their speech. 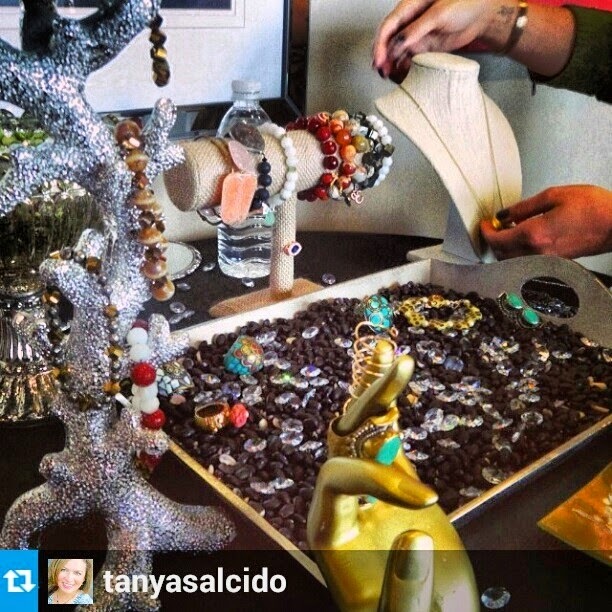 The combination of food, jewelry and a massage is something that is very relaxing. This is where there was trouble for me. It was so relaxing that all of my pictures taken are blurry. I apparently was a little too relaxed and comfortable. After my experience at Elements Massage, I know first hand that a massage is necessary for the body to feel rested and stress free. Next time you feel like you need to feel stress free, I suggest that you get a massage. They do walk-ins and there are coupon offers online. I wish you a happy stress free year. May all your dreams come true. Namaste. Many kids are out of school starting today for Spring Break. It has been the longest trimester and many times the kids as well as the parents are tired. It is the final push to get to summer vacation. Why not get out of the house this week, have some fun and take a few field trips. 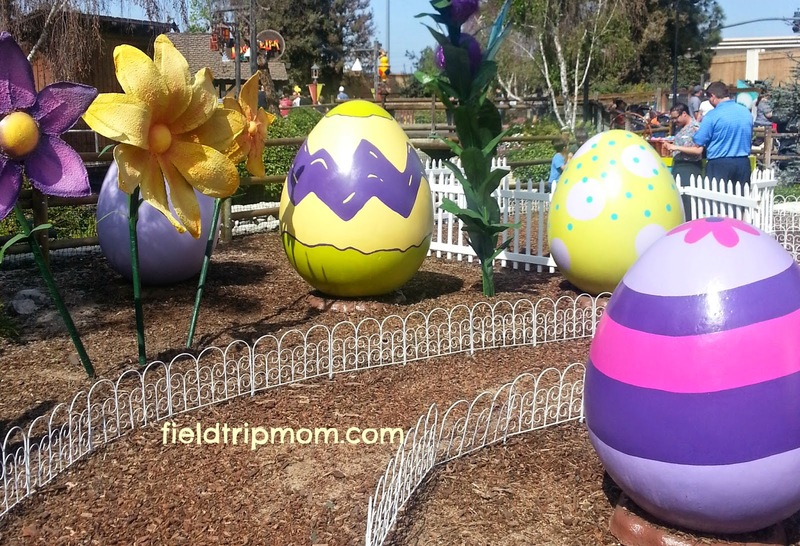 Knott's Berry Farm in Buena Park - Enjoy Knott's Berry Farm's Spring Bloom where the great people at Knott's decorate the park with loads of spring flowers, Easter eggs and playtime fun. Enjoy Knott's new Boardwalk rides and all of the fantastic roller coasters, shows and classic rides like the Log Ride and the Calico Mine Ride. Aquarium of the Pacific - Enjoy fish from around the world at the Aquarium of the Pacific in Long Beach. Touch Mantas and baby sharks in the touch pools and watch amazing 10+ foot sharks swimming in the Shark Lagoon. This is an excellent place to take the kids to learn more about marine biology. The OC Great Park - Looking for a simple place to go with very little commitment, go to the OC Great Park. Plenty of running and outdoor sports play area. Take a Frisbee, baseball or softball gear or a soccer ball and enjoy playing in the sun. Sundays from 10 - 2, the park hosts a farmers market with plenty of local vendors selling their fruits and vegetables and other wares. Take the kids over to the farm and learn about composting, growing fruits and vegetables as well visit the chickens. The kids will enjoy learning more about creating their own backyard garden. Santa Ana and Los Angeles Zoo - Enjoy a variety of animals at the Santa Ana and Los Angeles Zoo's. Take the kids on an adventure of learning zoology. Witness bears, birds and reptiles along with many other fantastic animals. The kids will be thrilled to get up close with these animals. Pack a picnic lunch and bring water. Remember to wear comfortable shoes. Heritage Park - Located in Lake Forest, take a trip into South Orange County's history at Heritage Hill Historical Society. Learn about life in the 1800's and early 1900's. The park displays many olden day artifacts for the kids to see and experience. Guided tours are offered contact the park for more information. Open Wednesday through Sunday 9-5 PM. Irvine Spectrum Play Area - Sit and relax as the kids run, jump and play at the open air play area at the Irvine Spectrum. Located near Target, this is a great alternative to the park that allows the kids to get the wiggles out. Bring their swim suits and let them run through the walk way fountains that squirt, splash and create laughter for all ages. OC Library - Take a relaxing moment to enjoy some down time by picking up a great book to read. The Orange County library system has a large array of books to sit and enjoy or to check out and bring home for reading at your leisure. Just because the kids are on Spring Break doesn't mean they can't take 30 minutes a day to expand their reading and vocabulary skills. 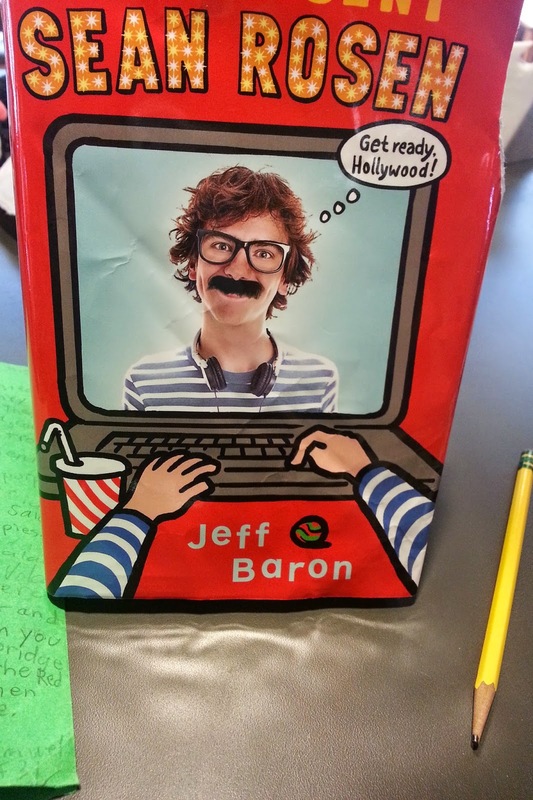 Make Spring Break a video game free week and substitute a great book. Have them read in the car to your field trip to help pass the time away and prevent sibling bickering. Irvine Park Railroad - Irvine Park Railroad has an amazing train that travels over a large portion of the park. Have the kids jump on a pony for a trot around the walking stable. For more fun, rent a bicycle, or 4 wheel bike carts for the whole family to ride around the park. Jump on the water bikes and take a spin around the pond. Hiking, walking, running and jumping are this parks theme. Enjoy large trees that are over 100 years old, history of the park can felt as you play. Why not pack the cooler and enjoy a great family BBQ at the parks numerous picnic areas. Tip: Make sure you arrive early and bring cash to pay for parking. The local grocery store is Albertson's a block over. 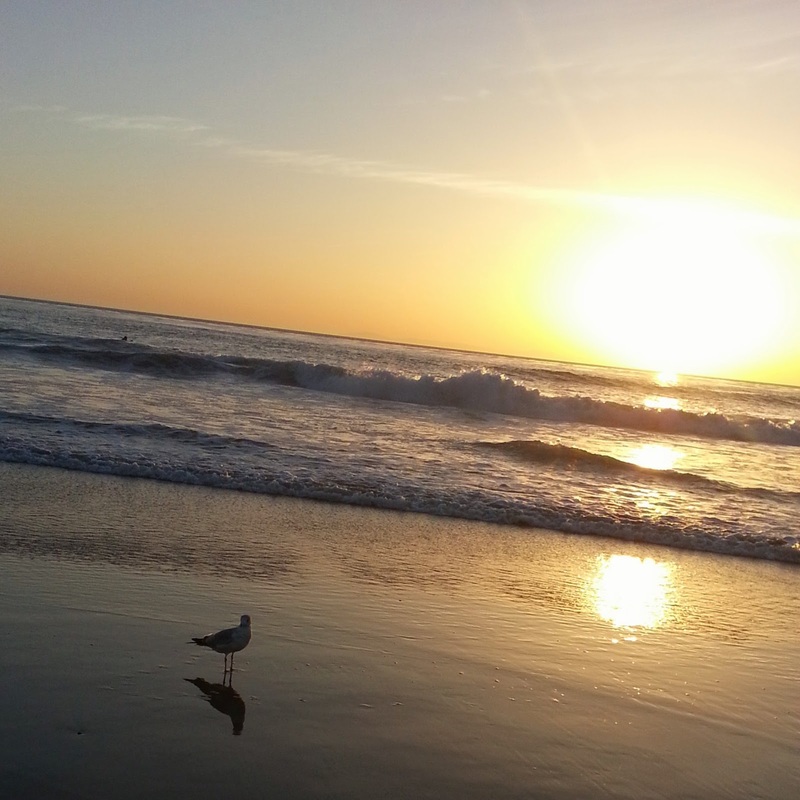 Beach at Corona Del Mar - Take a trip to the local beaches and relax with the sounds of the waves. Let the kids explore sea creatures in the tide pools where they will find crabs, sea urchins and other marine animals. Bring the towels and body boards and make it a fun trip of splashing and riding in the waves. Zoomars - Located in San Juan Capistrano, enjoy a day at Zoomar's petting zoo. Let the kids buy carrots and fresh veggies to feed large rabbits and guinea pigs. These fluffy and cuddly creatures will let the kids pick them up to pet and snuggle with. The kids will love spending time with the animals. This is a place that you will need to pack a picnic lunch and bring your own water. There is picnic tables for you to sit and enjoy the day. Wear comfortable shoes because this activity is outside on soil. Wear comfortable shoes. Tip: Arrive early in the day. The animals are on their best behavior with gentle hands. San Juan Capistrano Mission - Enjoy the history of California by taking the family to one of the local 21 missions. San Juan Capistrano Mission is the closest to Orange County. Let the kids further learn about the history of California as the mission explains how the Spanish, Europeans and Native Americans explored and lived in the new world. A number of fascinating artifacts from the early 1800's are on display. The mission shows how religion and cultures collide as development of early settlers began in California. Sky High Sports - JUMP AROUND, JUMP AROUND, JUMP UP AND UP AND GET DOWN! Kids and Adults alike will have a blast at with the Indoor Trampoline Park. It's a huge indoor park with large connected trampolines that allow your kids to jump and flip for hours. Birthday parties available with great party areas for food and presents. Play dodge ball and jump away to slam dunk a basketball. An amazing workout for adults who want an alternative to the gym scene...take your kids and jump into your exercise routine. This is a place wear you will need to drink lots of water. Be prepared to have tired kids after this adventure. Tip: Wear comfort clothing and bring socks. Legoland - Located in Carlsbad, LEGOLAND has an amazing display of Lego engineering with displays of towns and city scenes as well as Star Wars characters and a full size X Wing Fighter. Roller coasters for all ages and rides themed for kids allow for a great way to enjoy a theme park, family style. Stay next door at the LEGOLAND Hotel where you will rest your head in a Lego themed room and enjoy amazing eats at the kid friend buffet restaurant. Counter heights are both kid sized as well as adult sized so everyone feels important. The Flower Fields in Carlsbad - This is a great place to just enjoy the day with your family. It is located only a few miles from beautiful beaches and next door you have the LEGOLAND California. The garden is almost fifty acres full of colorful flowers. It is a breath taking view of nature that only happens once a year. The season ends in May. Tip: Costco is nearby. This Costco offer different products that might not be found in other areas. Great place to grab a lunch after your flower field trip. Spring break is here...get your family out and enjoy a few great field trips! 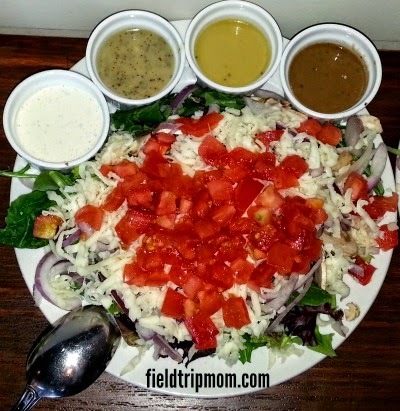 Happy Field Tripping! As a mom, food is always on my mind because I prepare breakfast, lunch and dinner for my family. I also prepare snacks and play date lunches too. Food is a big part of our families everyday lives. Pizza is a big staple in our weekly food budget. We either have pizza for dinner or the school offers it for lunch at least twice a month. This tasty dough pie with tomato sauce and cheese makes our family dinners happy and fun. 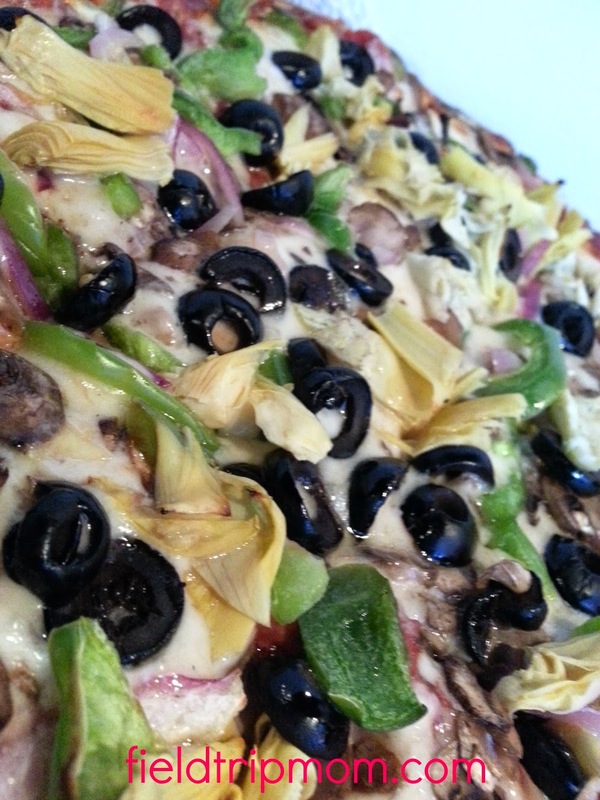 My family and I like to try new pizza restaurants because we enjoy tasting different recipes. When I was invited to visit Rance's Chicago Pizza in Costa Mesa, I gladly accepted. Recently, I was invited to attend a bloggers pizza party. The party was at Rance’s Chicago Pizza in Costa Mesa. I was excited to visit with old friends and met new people as well as to try a new place for the family. Armed with only my hungry tummy, I walked in excited for a new adventure in food. I was immediately greeted by my friend and a cup of Ice Tea. I could smell the pizza cooking. This only made my mouth water even more and my tummy start to complain much louder. Good thing everyone was busy talking and there was enough noise to cover the growling from my stomach. Discovery Science Center Mega Bubblefest Laser Show XVIII ends April 20th. Spring is here and the Discovery Science Center has the best show in town. Deni Yang is an amazing Bubble master. He holds a world record for having the most people inside a bubble. His show Bubblefest Laser Show is a hit with all the kids and adults. It is a show filled with bubbles that can dance with rhythm. This amazing show makes science fun to learn. Simple ingredients such as soap and water are turned into magical bubbles. There are little bubbles and giant bubbles that dance on stage. It is truly a must see performance that makes you feel young and full of energy. Why I love my new ICU Sunglasses. A year ago, I started to notice that I was having issues with reading and writing posts. I noticed that I was making many mistakes when writing. I thought I was simply tired due to writing in the middle of the night resulting in my eyesight becoming blurry when reading and writing. Then, on a routine eye appointment for my two kids, the doctor noticed my eyesight was declining. She quickly sat me down in a chair and began examining my eyes. Within minutes, she explained to me that I now needed eye glasses. We went from two kids with glasses to now two kids and a parent all needing prescriptions. All I could think about was the cost of my new prescription. I had just spent hundreds of dollars on both my kids eye wear and now I had to do the same for me. Museums that offer free admission in Orange County, California. At the beginning of the month many museums through Southern California offer discounts, free admission and special offers. 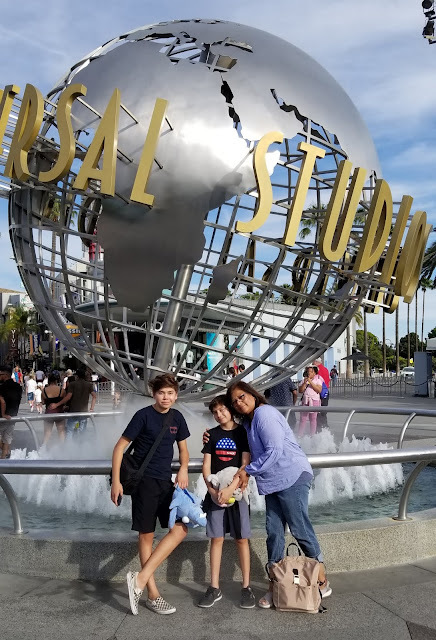 This is a great way to get your family to visit some of the most beautiful museums in Orange County, California. Let me share with you a few of the places that have special offers. Celebrity "Peeps Candy" myth buster. There is a celebrity that is often seen during the Easter holiday. The supermarket's dedicate an entire aisle to this famous candy. It is well know all throughout the United States. 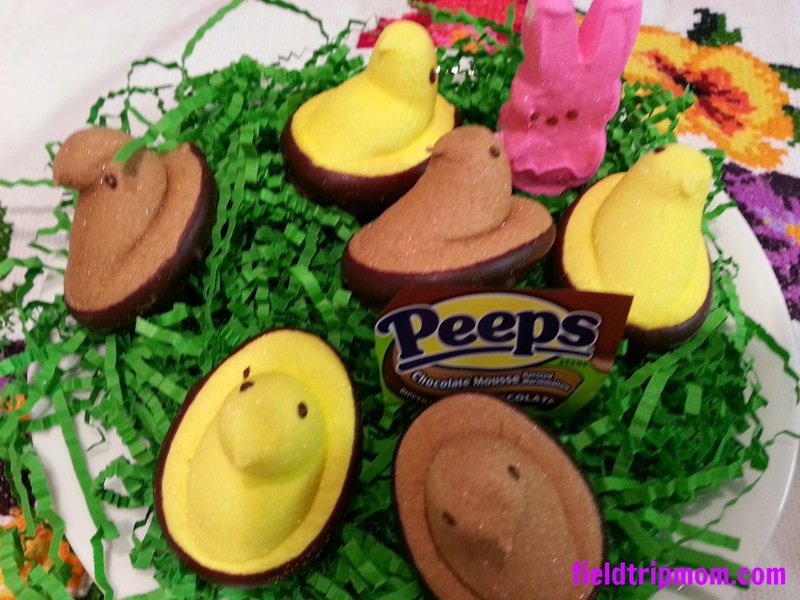 The "Peeps" candies are a marshmallow sugary treat that kids and adults enjoy. It's a squishy, gooey ooey treat. Myth 1. It is often said that this popular candy is only found at the local supermarket. This is not a correct statement. You can often find Pink Bunny Peep enjoying a lobster dinner at the local eatery. However, most of the time, she spends it at the shop Peeps and Company. Myth 2. This popular seasonal candy does not like fruit. This is an absolute lie! 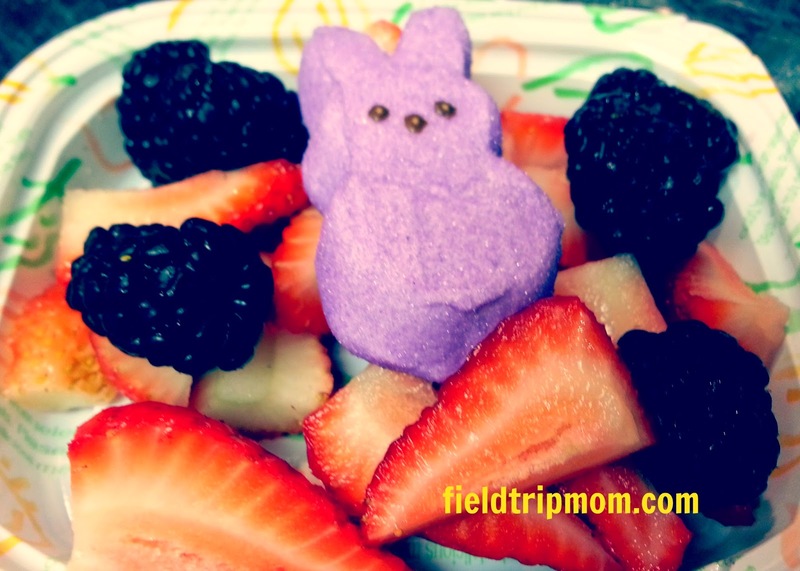 Purple Bunny Peep enjoys working with fruit. As you can tell by the picture the Peep is having a great time. Myth 3. All marshmallow candies are the same. All marshmallows are not the same. There is a rainbow of Peeps. Find the right one for you. Myth 4. Peeps only like chocolate. 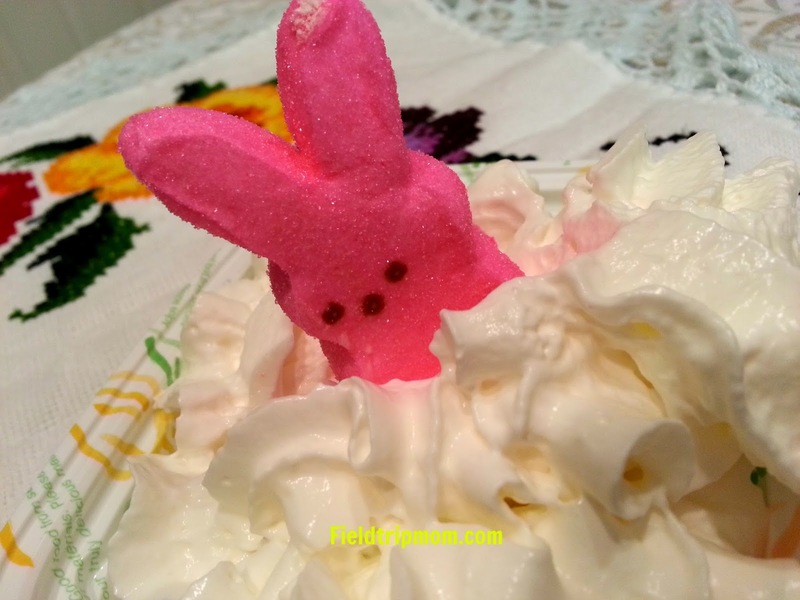 Not the case, pink bunny peep is enjoying a bubble bath of whip cream. Peeps marshmallow treats come in several shapes and flavors for all to enjoy. Add them to decorate cupcakes, fruit cups, S'mores or eat them on their own. Add a Peeps marshmallow to your kids cup of Hot Chocolate for a fun filled spring time drink. 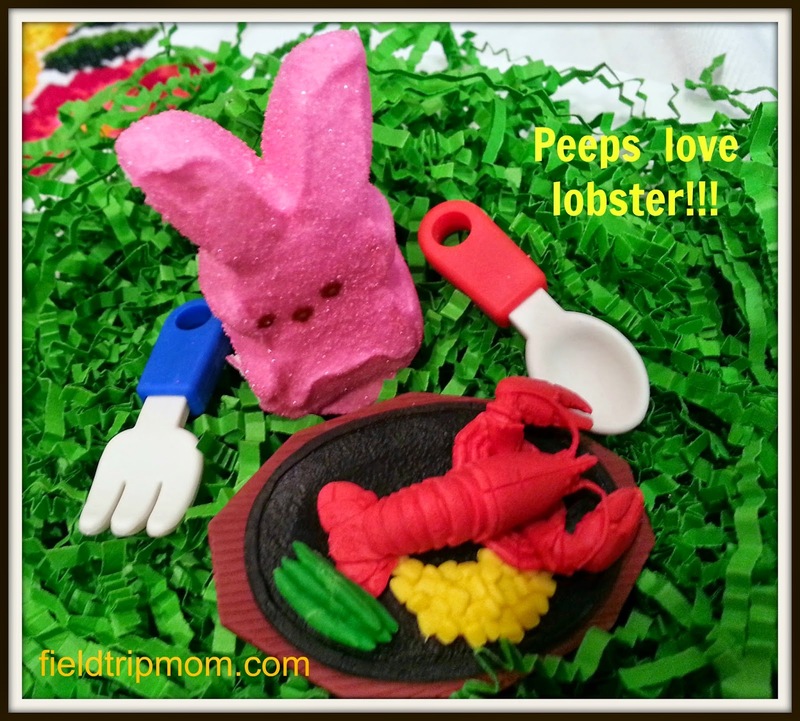 Making Yams or Sweet Potatoes with your Easter Ham, why not add some Peeps. Peeps are the fun filled Marshmallow candy that you grew up with as a kids. However, Peeps now have additional flavors including chocolate Peeps. Easter is right around the corner, go out and pick up some Peeps treats for your family today. Follow Peeps on Social media by using hashtag #peepsonality. Disclaimer: Not a sponsored post. I received product for review only. ALL thoughts and ideas are all my own.